The Swanton Public Library has multiple programs for adults planned during the month of February. Mixed Level Hatha Yoga I & II will be held on Mondays, the 4th, 11th, and 25th, from 10:15-11:45 a.m. These sessions are slightly more advanced, providing an opportunity to expand participants’ skill levels. Class fee is $10 per session. Hatha Yoga Basics will be offered on Thursdays, the 7th, 14th, 21st, and 28th, from 10:15 – 11:45 a.m. Class fee is by donation, and proceeds benefit the library. Chair Yoga will be offered on Thursdays the 7th, 14th, 21st, and 28th, from 2-3 p.m. Class fee is $5 per session. 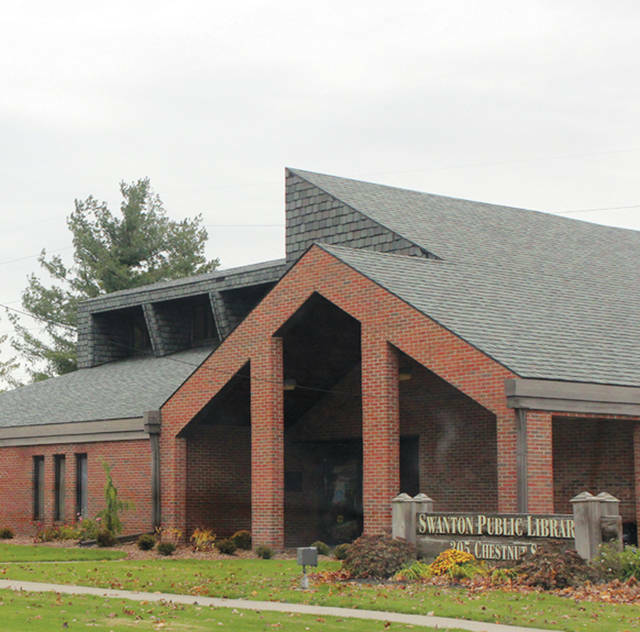 Back by popular demand, the Swanton Public Library is ready to host another Trivia Night. This month’s theme is the 80s. Pit your knowledge of sports, celebrities, and scandals against your friends, family and fellow patrons with questions collected by librarians. This program is free for all to attend and all are welcome. Trivia Night will be Feb. 12th at 6:30 p.m. Copies in various formats are available behind the circulation desk. Copies are limited. Registration is not required for the book club and all are invited. Donna Mills is offering a painting class to try and capture a summer afternoon on a scenic lake. This class is open to all skill levels, but designed for absolute beginners. It will be Wednesday, Feb. 13 from 5-8 p.m.
Children eight years and older welcome accompanied by an adult. Class fee is $25 per person, but all supplies are provided. Room is limited — call 419-826-2760, stop in, or register through the library website, www.swantonpubliclibrary.org. The group will meet on Feb. 20 from 7-8 p.m. at the SPL. Copies will be available behind the circulation desk and can be checked out for one month. Copies are limited. This next card making class is switching from a holiday theme to a technique. February’s technique-centric class will cover clever folding card styles, and Anna Geis has three all-new cards ready for you to learn to make. The class will meet Feb. 28 at 6:30 p.m. to add another trick to your crafting repertoire. Class fee is $6 per person, but all supplies are provided. Call 419-826-2760, stop in, or register through the library website, www.swantonpubliclibrary.org, to register. Confused about your Social Security? Medicare? Look no further! Valerie Edwards from the Fulton County Senior Center will be taking appointments at SPL on Thursday, Feb. 21 from 10 a.m. to noon. She’ll walk you through your questions about such complicated topics as Medicare, senior assistance programs, insurance, and more. This is a free service provided by the Fulton County Senior Center, but is by appointment only. Call Val at (419) 337-9299 to schedule an appointment. The Swanton Garden Club will meet on Feb. 21 at 6:30 p.m. This is open for the public to attend and each Garden Club meeting will have an attached program over a gardening topic. Both the meeting and the program are also free and open to the public. The Friends of the Swanton Public Library will hold their winter book sale from Thursday, Feb. 21 to Tuesday, Feb. 26. Everything starts at 6 p.m. on the 21st. Stop in any time during open hours and follow the signs. Volunteers are always needed and welcome. Call the library for more details at (419) 826-2760. Chess Club meetings are on Wednesdays at 3 p.m. and Saturdays at 1 p.m. Players of all skill levels are invited. The knitting group will meet on the 13th and 27th of February at 6:30 p.m. It isn’t just for knitters. Crochet enthusiasts are encouraged and welcome. The Writers Group will continue meeting twice every month, and this February’s meetings will be on Thursdays the 7th and 21st at 7 p.m. Join local freelance author Nathan Jacobs and other aspiring writers to help polish up your own work. All skill levels are welcome to join.